New England captain Steven Gerrard believes revitalised striker Andy Carroll can terrorise opposing defences during Euro 2012 if he repeats the end-of-season-form shown at Liverpool. Carroll has been thrust to the forefront of England’s attacking options with Wayne Rooney suspended for the first two games, Darren Bent out through injury and Danny Welbeck struggling to be fit. He has failed to live up to his £35 million price tag since moving from Newcastle 16 months ago but will now lead the England attack in tomorrow’s friendly with Norway in Oslo. 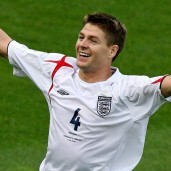 And Gerrard is backing him to shine, saying: ‘He looks awesome at the moment. Towards the end of the season, he was getting better and better for Liverpool. ‘He was becoming unplayable, he is looking sharp and lean and if he can take his form from the end of the season into these England games, he will be a big plus to this team. ‘Defences will find it very difficult to play against Andy Carroll in this tournament in that sort of form. ‘What has turned things around? You will have to ask Andy but he moved from Newcastle to Liverpool for £35 million, he is 21 years of age. ‘As a footballer, it is a massive move. It is going to take time for him to settle and get used to the surroundings and his team-mates and play through the pressure of being a £35 million player. Gerrard also has no doubts about the pedigree of new coach Roy Hodgson despite working under him during a difficult eight month spell at Liverpool which culminated in him being sacked. He said: ‘Roy took the Liverpool job in very difficult circumstances because the majority of our fans wanted Kenny (Dalglish) to be the manager. ‘From day one, Roy had a very tough job but I can assure everyone he is a really good manager. ‘I worked with him day in and day out and he is a winner. He makes his sides difficult to beat and I’m really confident he can have a successful time as England manager. ‘Of course, it is going to take a bit of time for everyone to get used to him and his way of doing things. 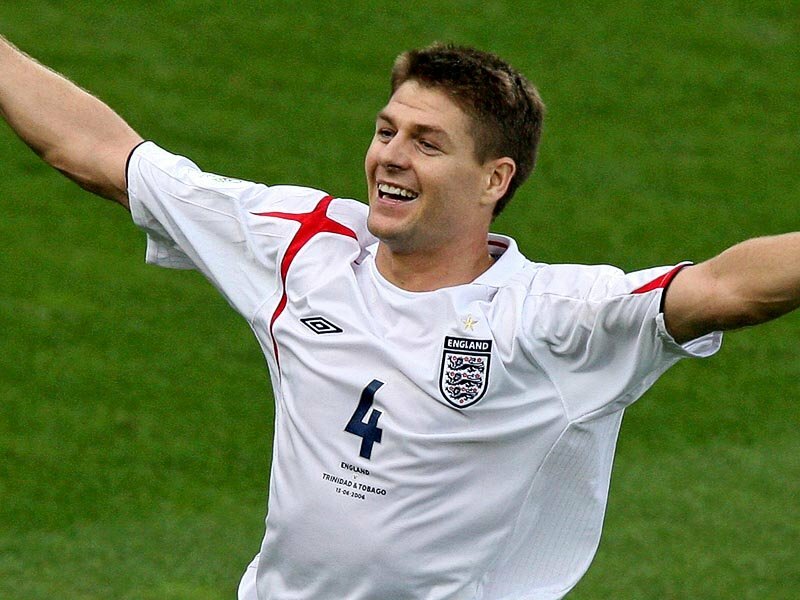 Gerrard is relishing finally being given the armband full-time after fill-in spells as captain, most notably at the 2010 World Cup when Rio Ferdinand was injured before the tournament got underway. He has challenged England to demonstrate the form which has deserted them at most tournaments including in South Africa when they were ousted in the second phase. He said: ‘Being captain is something I’ve dreamed off since I was a very young boy and I want to make the most of it. ‘I want to be remembered as a very successful captain. It was very difficult in South Africa because we never performed at a good level. ‘We never reached the level this team is capable of and that was very frustrating. ‘The problem has always been the level of performance. We haven’t reached the level of performance required to be successful.